Like a fine wine or a sinfully decadent dessert- this design stimulates the senses in a most unforgettable fashion. 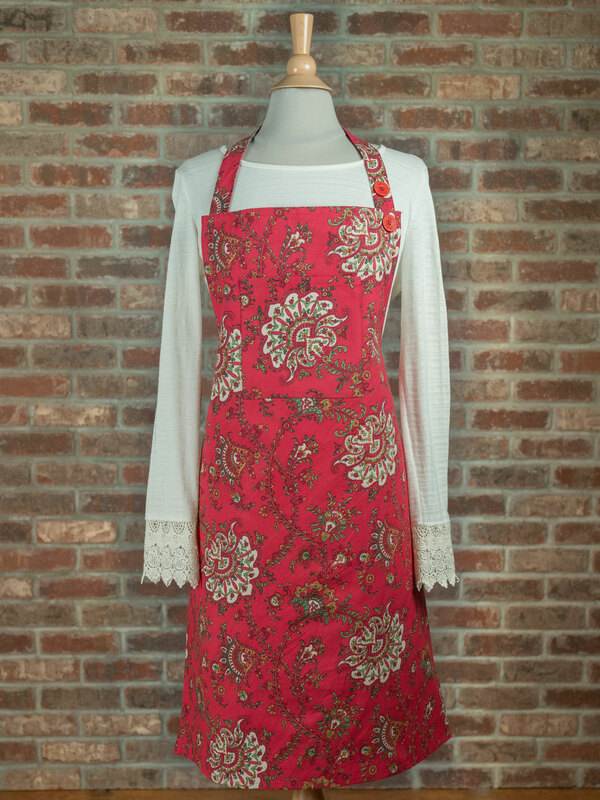 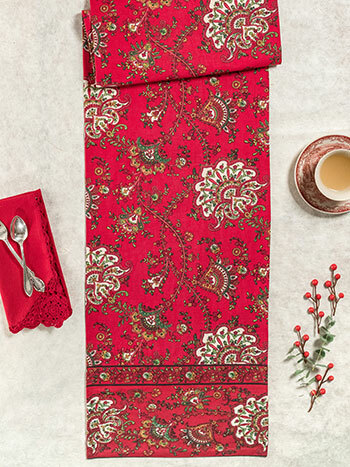 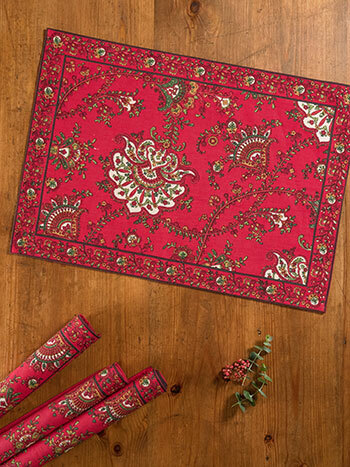 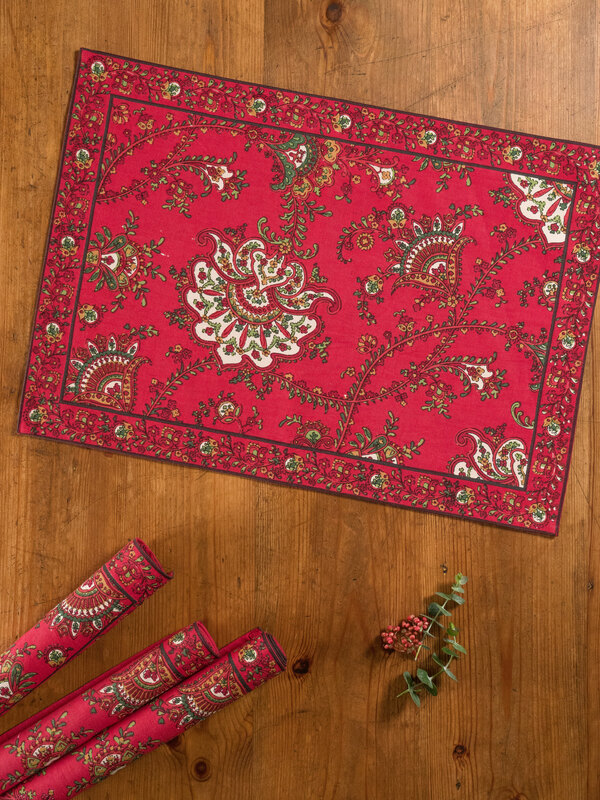 The delicious Empress Paisley is saturated in rich, velvety red and features a sophisticated motif emanating the tantalizing mystique of its Far-East heritage. Stunning. I just love this little jewel of a tablecloth. 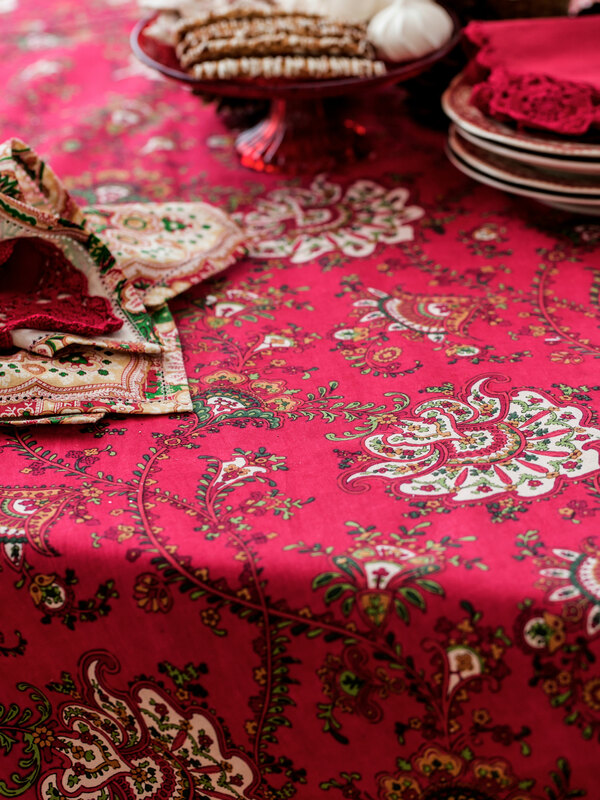 The colors are so vibrant and the quality is amazing. 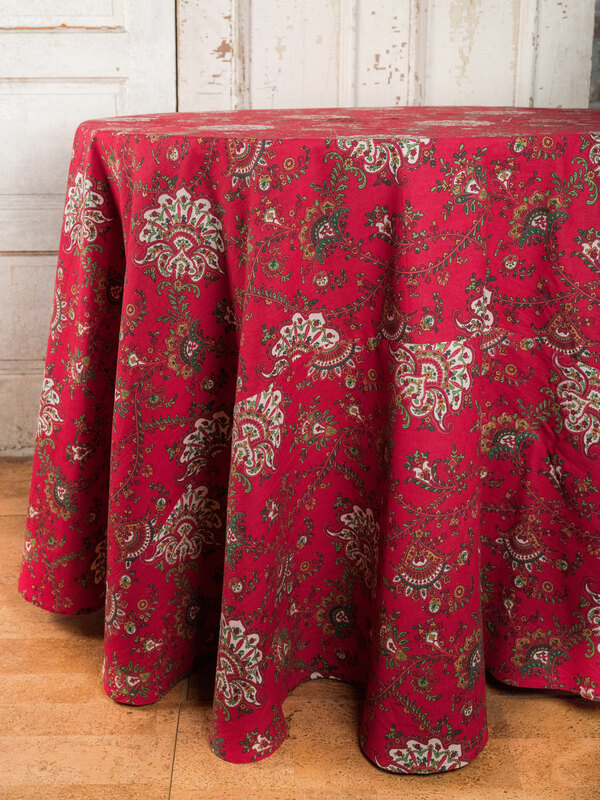 This was an after-Christmas purchase. 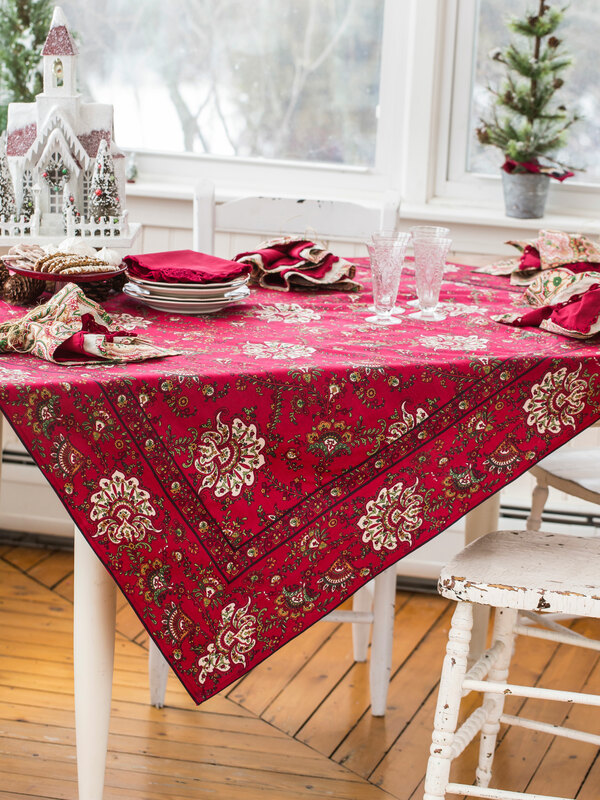 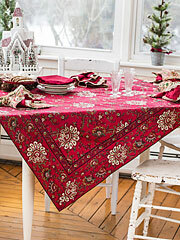 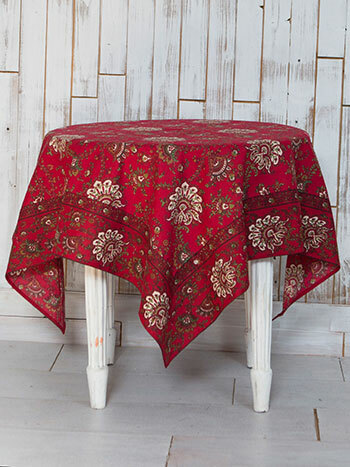 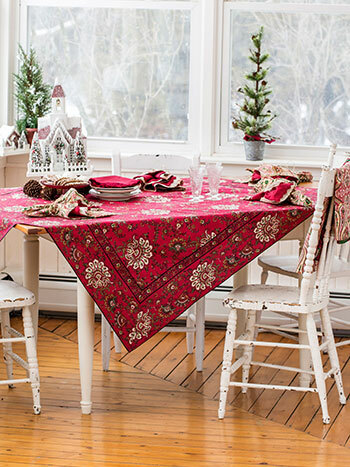 The tablecloth is gorgeous...for holidays or after. Rich colors help brighten up gloomy winter days.